Our always-on, Web-driven world has new rules for competing and growing business. Advance planning is out – agile is IN! Those who embrace new ways will be far more successful than those who stay stuck and afraid to change. No one knows more about using the new Real-Time tools and strategies to spread ideas, influence minds and build a business than David Meerman Scott. It’s his specialty. As a speaker, Scott’s high energy presentations are a treat for the senses. He’s informative, entertaining and inspiring. That he’s spoken on all seven continents and in over 40 countries to audiences of the most respected firms, organizations and associations underscores the value he brings to audiences. Scott’s keynotes and masterclasses are an urgent call to action. 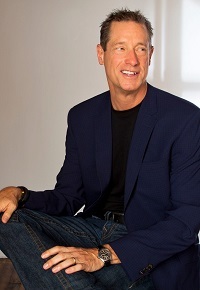 David Meerman Scott is an internationally acclaimed strategist, whose books and blog are must-reads for professionals seeking to generate attention in ways that grow their business. Scott’s advice and insights help people, products and organizations stand out, get noticed and capture hearts and minds. 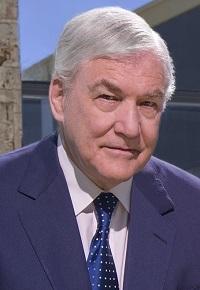 He is author or co-author of ten books – three are international bestsellers. The New Rules of Marketing & PR, now in its 5th edition, has been translated into 28 languages and is used as a text in hundreds of universities and business schools worldwide. It is a modern business classic with over 350,000 copies sold so far. 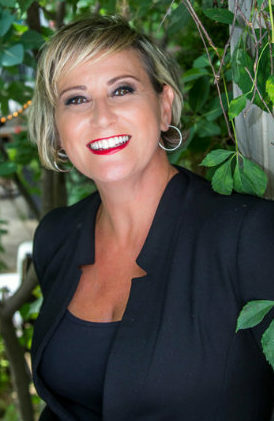 Scott also authored Real-Time Marketing & PR, a Wall Street Journal bestseller, Newsjacking,World Wide Rave, and the new hit book The New Rules of Sales & Service. He co-authored Marketing the Moon (now in production as a feature-length film) and Marketing Lessons from The Grateful Dead. Scott serves as an advisor to select emerging companies who are working to transform their industries by delivering disruptive products and services. His advisory clients include HubSpot (NYSE: HUBS), where he also serves as Marketer in Residence. He began working with HubSpot in 2007 when the company had a handful of customers and fewer than 10 employees, helping the HubSpot team with rapid sales and marketing strategies that have grown the company to 15,000 customers in 90 countries. His current portfolio of advisory clients also includes Mynd, Expertfile, RISEcx, Set The Set, VisibleGains, Foxtrot Systems, and GutCheck as well as non-profits including the Grateful Dead Archive at University of California Santa Cruz and HeadCount. 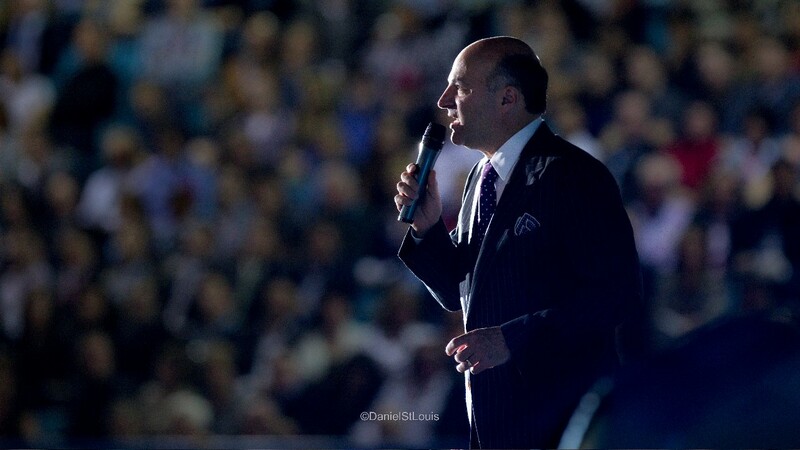 As a speaker, Scott’s high energy presentations are a treat for the senses. He’s informative, entertaining and inspiring. That he’s spoken on all seven continents and in over 40 countries to audiences of the most respected firms, organizations and associations underscores the value he brings to audiences. Scott’s keynotes and masterclasses are an urgent call to action. Scale and media buying power are no longer a decisive advantage; what counts today is speed and agility. Real-Time is the mindset for the future – and content rules! His tailored presentations delve deep – offering strategies and tactics that help audiences seize the initiative, open new channels and grow their brand. His groundbreaking strategies don’t just slap social media onto dusty old strategies – they reinvent the way business engages the marketplace. Audiences walk away knowing how to use blogs, YouTube, Facebook, Twitter, Big Data and the newest tools like Newsjacking and to engage the media, crowd-source product development, increase sales, exert influence, disseminate ideas, build awareness and command premium prices by using speed as a strategic weapon. David’s keynotes are always customized based on the needs of the conference organizer, the geographical location of the talk, and the demographics of the audience. 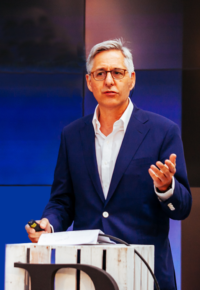 He adapts his presentations in many ways, including the examples of success he showcases, the focus of the talk, the use of specific language and jargon of the industry, even the clothing he chooses to wear. His presentations include three elements: Information, Entertainment, and Motivation. What every business can learn from the most iconic band in history. The Grateful Dead broke almost every rule in the music industry book. They encouraged their fans to record shows and trade tapes; they built a mailing list and sold concert tickets directly to fans; and they built their business model on live concerts, not album sales. Learn key innovations from the Dead’s approach you can apply to your business. Find out how to make your fans equal partners in your journey, “lose control” to win, create passionate loyalty, and experience the kind of marketing gains that will not fade away. In July 1969, ninety-four percent of American televisions were tuned to coverage of Apollo 11’s mission to the Moon. How did space exploration, once the purview of rocket scientists, reach a larger audience than Laugh-In? Why did a government program whose standard operating procedure had been secrecy turn its greatest achievement into a communal experience? In Marketing the Moon, David Meerman Scott tells the story of one of the most successful marketing and public relations campaigns in history: the selling of the Apollo program, featuring heroic astronauts, press-savvy rocket scientists, enthusiastic reporters, deep-pocketed defense contractors, and Tang. David Meerman Scott leads this live masterclass where entrepreneurs, business owners, and marketers learn a step-by-step framework for building an online sales and marketing strategy and a tactical, actionable plan to reach buyers directly and in Real-Time. The in-person session details a powerful new way to get attention using real-time communications tools including social networking, blogs, viral marketing, podcasts, online video, search engine marketing and online thought-leadership. Learn why sales and marketing on the Web is different. Understand how to speak directly to your customers and buyers by creating compelling content they’re eager to share instead of bombarding them with advertising they’ll likely ignore. See why “you are what you publish” and learn strategies to execute viral and Real-Time engagement that wins hearts and minds and gets attention. By the end of the masterclass, participants will be ready to create a cohesive sales and marketing strategy and will know the tactics to succeed. 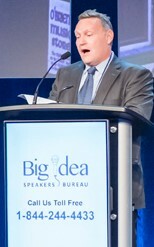 Top firms and organizations have engaged Scott to present at conferences, expos and meetings, among them: Cisco, Hewlett Packard Enterprise, PwC, GenRe, SAP, Google, Microsoft, Schlumberger, McCormick, Nestle Purina, Amdocs, Jackson Healthcare, Ford Motor Company, Century 21, The New York Islanders, Direct Selling Association, Lewis PR, Insight, Bail USA, Sitecore, TechData, Travel Manitoba, Oticon, Selling Power Magazine, Cycling Sports Group, National Association of Elementary School Principals, Natixis Global Asset Management, Intellisphere, Self Storage Association, Mosaic, Direct Marketing Association, South-by-Southwest, National Healthcare Marketing Summit, Kronos, Public Relations Society of America, National Geographic, Ingram Micro, Abbott Medical Devices, NASDAQ Stock Market, the Government of Ontario, McKesson, U.S. Air Force, U.S. Marine Corps, Digital River, Hill & Knowlton, Dow Jones, SAS, National Investor Relations Institute, The Milken Institute, Entrepreneurs Organization, International Health Forum, Credit Union National Association, Giant Screen Theater Association, Realtors® Conference, National Agri-Marketing Association, Belize Tourism Industry Association and many, many more.